A better community is one that works together to provide programs, activities and events to improve the present and future of all those in the community. 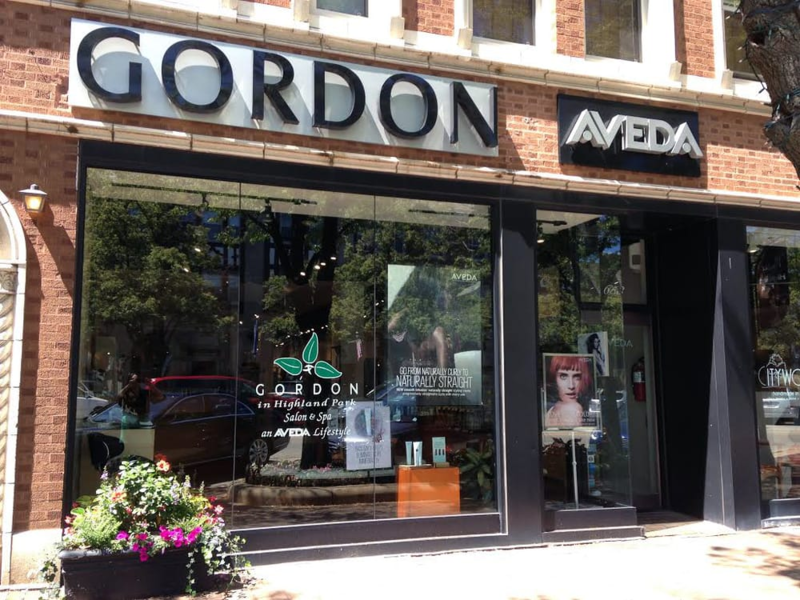 As an Aveda lifestyle salon, we believe that a better community begins with what we are surrounded by. Earth month is huge for us in that we organize multiple events to help better our community and our planet. This past year, we organized a fund-raising yoga class that was held at our Lakeview location. The class was taught by a Tribalance Yoga Center yoga instructor. Psychics from InVision did ten minute readings, and one of our Master Stylists lead a self-done body massage with Aveda essential oils.Light refreshments were provided and the money we raised was donated to the Alliance for the Great Lakes. The idea was developed with the good of our clients in mind. We wanted to provide a beneficial experience for them while still giving back to our community and charity. We also featured a raffle at each of our locations. The raffle prize was a basket that included items from different retailers in the community. This type of charitable act raised awareness for water pollution as well as getting the name of our fellow businesses out there. We try to not only help ourselves, but our neighbors as well. We engaged our staff by asking them to reach out to their favorite businesses for a donation. When they are able to ask instead of our company as a whole, it creates an authentic feel and allows our staff to form a meaningful relationship. Our clients were engaged in this process by being asked to donate money for a raffle ticket that could potentially win them a basket of goods to businesses that they would normally visit. The money they donated went towards a cause that benefited them, too. The communities that our salons are located in are surrounded by one the largest Great Lakes. We get our water from Lake Michigan, we play in Lake Michigan, and we admire Lake Michigan from afar. It’s easy to make a donation to something that plays a role in our everyday lives. During Earth Month we also hosted a networking event in our Highland Park location. Beyond networking, this event focused on empowering women in the community. We partnered with several important women in our community. Susan Garrett, former Illinois state senate, spoke to guests about the importance of women getting involved in the community and how a company such as ours can raise awareness and aid the non-profit work of the Alliance for the Great Lakes and similar organizations. One event that has become an annual affair for us is the New York Catwalk to North Shore Sidewalk Fashion Show that is hosted by the Women’s Club of Wilmette. Our stylists provide their services to do hair and makeup for the models of this event. Our time and services show off our talents but also create an artistic display that provides enrichment and inspiration to the Wilmette community. The importance of the art of beauty is not always noticed in our communities, and as a company we want to make sure people are able to benefit from it.